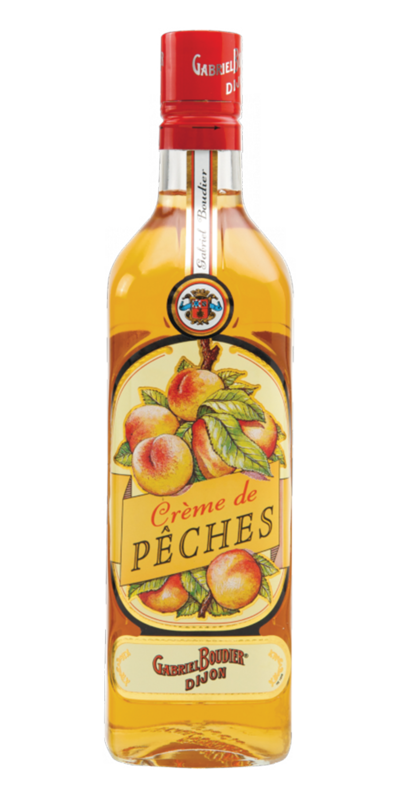 Gabriel Boudier Creme de Peches Liqueur — Emporia Brands Ltd. Knowledge and expertise of more than 140 years is at the heart of the House of Gabriel Boudier. A name that is now renowned worldwide. Since its foundation in 1874, Gabriel Boudier has invented and diversified into a range of exceptional products that delight enthusiasts of crème de fruits as well as liqueurs. Gabriel Boudier is now synonymous with authentic tastes which we invite you to discover, enjoy and share with us. In the Crème de Cassis tradition, the Crème de Fruits is dedicated to lovers of variety and different flavours. They are all produced using the same methods as the original crème, a guarantee of quality and the commitment of Maison Boudier. The fruits must meet sever criteria, such as the choice of noble varieties and strict requirements of the inspection laboratory, in particular concerning their maturity and all the phytosanitary processing applied. All fruit crèmes and liqueurs manufactured by Gabriel Boudier are also based on this respect of the fruit. Obtained by macerating selected white peach varieties including the vine peach. Add this peach cream to champagne and sparkling wines to produce delicious aperitifs. Nose: Aromatic, slightly jammy peach with faint herbal notes. Very clean. Palate: Cooked, jammy peach flesh and skin. Delicate and clean.